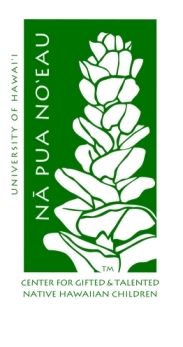 No longer a statewide organization based at UH Hilo, the mission and vision of Nā Pua Noʻeau will now be integrated into campus programs at UH Hilo, UH Mānoa, UH Maui College, Kaua‘i Community College and UH West O‘ahu. See UH System News: Nā Pua Noʻeau mission and vision integrated into campus programs. See also UH Hilo Stories: Nā Pua Noʻeau mission transformed. Employees of will now report directly to the campuses where they are located. We are pleased to have Nina Segawa, Administrative/Fiscal Officer transitioning to Kīpuka Native Hawaiian Student Center , and Raymond Busniewski, Information Technology Specialist, transitioning to Ka Haka ʻUla O Keʻelikōlani College of Hawaiian Language after closeout activities are completed. Please direct any questions regarding Na Pua Noeau to Farrah-Marie Gomes, Vice Chancellor for Student Affairs. We know that students are more likely to come to UH Hilo, persist in their studies, and then graduate if they make strong connections to people on campus. You probably saw on the news that University of Hawai‘i at Hilo missed the target for enrollment for the second year in a row. We’re not alone. This is a problem that has hit many small campuses across the country. A recent article in The Chronicle of Higher Education cites a new survey of 368 small private colleges and midsize state institutions that shows 38 percent met neither their goals for freshman enrollment nor their goals for net tuition revenue this fall. There are two ways we can address our enrollment challenge. One, recruit more students to come here, and two, retain students who are already attending UH Hilo. To do both, we must strengthen our connections with students, whether prospective or already attending our university. As a publicly controlled regional university, our primary aim is to commit the majority of our recruitment efforts on Native Hawaiians and the diverse residents of Hawai’i, with a focus on prospective high school graduates. For the first time in five years, we’ve connected with high school counselors. This fall, we hosted 44 high school counselors from around the state (17 from Hawai‘i Island, two from Maui, and 25 from O‘ahu) for a visit to our campus. We’re working with the counselors to set up meetings for students at the high schools with a UH Hilo admissions counselor and members of our faculty and student body. Our counselors help students understand the steps they need to take as they complete high school and prepare to enter college. 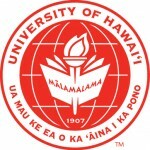 UH Hilo departments will follow up, calling students to help them with their decision. UH President David Lassner has challenged us with a goal to have every high school student graduate with a diploma and some UH credit in hand. The work our North Hawai‘i Education and Research Center is doing with Honoka‘a High School is a model for what UH Hilo can do for Hawai‘i Island. We are reaching out near and far. We are connecting with students who graduate from Hawaiian immersion schools, hoping they see UH Hilo as a natural place to go for college. Further away, we are identifying international locations where we can recruit students who can take advantage of what UH Hilo has to offer. Our Financial Aid Office reaches out to students and their families around the island to explain the financial aid and scholarship process. This is a key component in the college admissions process as most families make their college decision based on the financial aid package. We’re increasing our connections with community college students who want to transfer to a four-year university. We have a successful program in place with Hawai‘i CC to help students plan ahead with their course load and then seamlessly transfer into selected majors at UH Hilo. This long-range planning also strengthens retention among transfers. We’re also participating in a STEM expo at Kapi‘olani CC in November for the very first time. UH Hilo professors from marine science, astronomy and physics, and computer science will be there with our vice chancellor for student affairs. A counselor from our Kīpuka Native Hawaiian Student Center is doing more outreach to students at UH West Hawai‘i and Hawai‘i CC. How can we give prospective students a feel for what it’s like to be at UH Hilo? Expanding our online presence, the Admissions Office has fully embraced social media, with a daily active and fun presence on Facebook, Twitter and Instagram. It gives prospective students an immediate connection to our current students at work, study, and play. See for yourself! A pilot “summer bridge” program for college-bound graduates from Kea‘au High School who lived for six weeks on the UH Hilo campus, preparing for their years with us or Hawai‘i Community College. The program is designed to prepare local students for studies and careers in science, technology, engineering, mathematics and natural resources fields. Intensifying advising, with advising staff and faculty reaching out to students throughout the semester. These are personal one-on-one connections with a caring person making the effort to connect with the student. The creation of four-year academic “maps,” available online, guiding students to graduate in four years. This is part of the UH System “15 to Finish” campaign, based on research that shows students who take at least 15 credits a semester are more likely to do better and graduate on time. Advisors encourage students to make a plan and then stick to it. Intensifying applied learning programs, giving students the experience to connect with a mentor and work in their field, making them more likely to stay and graduate. When they do graduate, they have a diploma and a résumé in hand, ready for work or graduate school. There is a role for everyone to play in growing our enrollment. We appreciate the assistance of faculty and staff in helping our students succeed, and the local community for spreading the word about the value of a UH Hilo education. By working together, we can grow our university and help our island and state move forward into the future. Gov. 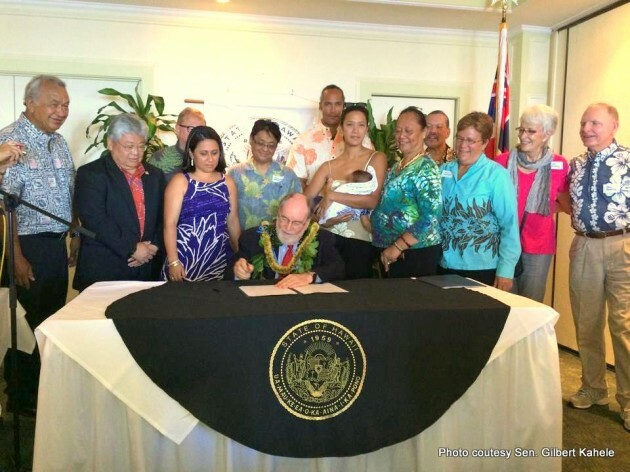 Abercrombie signed five bills into law in Hilo this morning, including one that appropriates money to support an after school program that will be administered by UH Hilo. Present at the ceremonies were several members of the Big Island delegation and other officials. In the photo above, Chancellor Straney is in the back row, behind Ka‘iu Kimura (in purple dress), the director of ‘Imiloa Astronomy Center, who will oversee the after school program. Chancellor Straney attended the governor’s bill signing ceremonies held today in Hilo. At the Hilo Yacht Club, Gov. Neil Abercrombie enacted measures (Acts 167 to 171) relating to the University of Hawai‘i at Hilo, public lands, the Hilo-based Pacific International Space Center for Exploration, and Hawaiian Home Lands. It was the first time a governor of the state of Hawai‘i signed bills into law on Hawai‘i Island. Among the measures was Senate Bill 3093, which appropriates $200,000 to the University of Hawai‘i at Hilo to support its memorandum of agreement with RISE 21st Century After School Program, a program that helps underprivileged children of Hawaiian ancestry with life skills, achieving academic success, and career planning. The implementation of the agreement will be done by the ‘Imiloa Astronomy Center of Hawaiʻi, a unit of UH Hilo. Some of the greatest challenges we face at the University of Hawai‘i at Hilo are in retaining and graduating students hailing from our local high schools. These students often need a strong support system to help them meet the rigorous demands of higher education, especially first-generation college students. This is where “bridge” programs can help at the onset, transitioning students from high school to college. Students spend a few weeks living on campus before the school year starts, taking courses for college credit, learning about time management and workloads in higher education, and working with peer advisors, mentors, faculty, and staff as a support system before the official school year even begins. This preparation and support often can make a big difference in reaching graduation. A partnership between UH Hilo, Kamehameha Schools, Keaʻau High School, UH Hilo, and the UH Foundation has brought about an exciting new summer program designed to prepare new local students interested in pursuing studies in science, technology, engineering and mathematics—the STEM disciplines—and natural resources fields. On June 22, the first cohort of 25 students, all recent graduates from Kea‘au High School in Puna who will start their freshman year UH Hilo or Hawai‘i Community College this fall, started in the Kupa ʻĀina 2014 Summer Bridge Program. Program participants are enrolled in college-level English and Math courses, earning college credit through a rigorous schedule of study for six weeks. The students have full access to advising, counseling, and tutoring. In addition to classroom and study time, the students will participate in field trips — ‘āina-based learning activities — at various sites around the island where they will learn about the historical, cultural, and geographic significance of these places, as well as interact with cultural practitioners and informants. Self-development activities will also build additional skills needed for the students to succeed in their first year of college. During the six weeks, the Summer Bridge group will reside on the UH Hilo campus at Hale Kanilehua Living Learning Center, a supportive living-learning environment for students transitioning into the university. The learning center’s aim is to inspire students to explore and excel, particularly in Hawaiian language and culture, the STEM disciplines, as well as integrate their academic, co-curricular and residential experiences. Five of the students in this summer’s Kupa ʻĀina cohort intend to continue their studies at UH Hilo in Fall 2014, and twenty will enroll at Hawai‘i Community College, twelve of whom intend to transfer to UH Hilo in the future. Many of the students come from a Natural Resources focus at Kea‘au High School, and a number of them intend to pursue a major and career in a STEM or STEM-related field. Of the students who have declared a major, five of them are interested in the field of Health, including Nursing. Three students are interested in Computer Science, and one in Architecture and one in Education. Fifteen of the students are male and ten female. The cohort is ethnically diverse and representative of our island’s youth, with several of Naive Hawaiian, Filipino, and Pacific Islander ancestry, including Samoan, Yapese and Chuukese. Also represented are students with European, Chinese, Portuguese, Native American, Puerto Rican, Japanese, African and Mexican backgrounds. The Kupa ʻĀina 2014 Summer Bridge Program is funded by Kamehameha Schools. The project director is my former executive assistant who is now serving as interim vice chancellor for student affairs, Gail Makuakāne-Lundin. 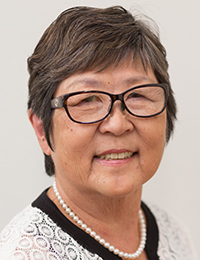 Among her many roles at UH Hilo, Gail specializes in developing leadership programs and initiatives for Native Hawaiian student services on campus and within the UH System. Her outreach through both internal and external venues has resulted in an increase in Native Hawaiian students at UH Hilo and throughout the UH System, as well as improved student academic success and graduation rates. Please feel free to contact Gail for more information about Summer Bridge at 808-932-7445.